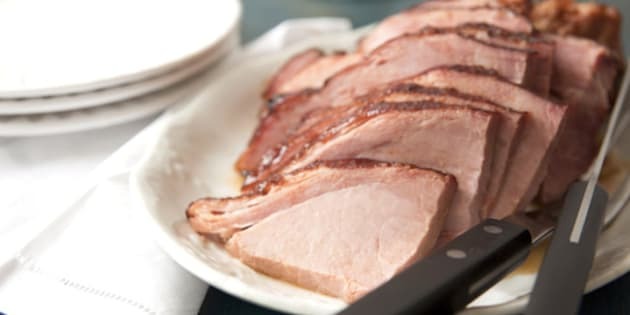 OTTAWA - The Canadian Food Inspection Agency is warning the public not to consume Compliments brand Sensations Old-Style Smoked Ham because the product may be contaminated with listeria. The affected product is sold in 175 gram packages with a best before date of Nov. 13, 2011. The product was distributed in Ontario, Quebec, Nova Scotia, New Brunswick, Prince Edward Island and Newfoundland and Labrador, but there haven't been any reported illnesses associated with its consumption. The manufacturer (Les Cuisines Gaspesiennes de Matane Ltee of Matane, Quebec) is voluntarily recalling the affected product from the marketplace. Food contaminated with listeria may not look or smell spoiled, but it can cause listeriosis. Listeriosis can cause high fever, severe headache, neck stiffness and nausea, with pregnant women, the elderly and people with weakened immune systems particularly at risk.